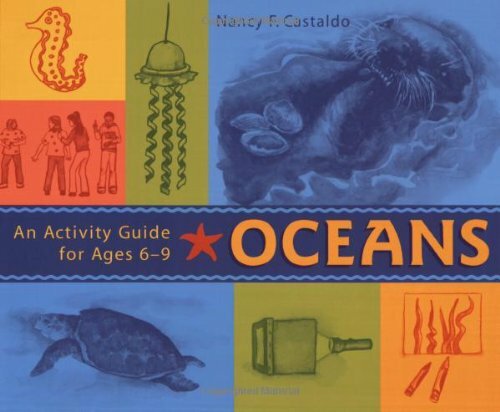 Even kids in the Midwest, far from any salt water, can learn about the ocean and have fun with this activity guide. Only a handful of the activities need to be done at the seaside; most can be done at the kitchen table or in the classroom. Kids will experiment with salty water and learn about tides, currents, and waves. They'll explore different ocean habitats, from tide pools to sunlit waters to the deep-water world where light does not penetrate. Tales of the ocean from around the world enhance the learning and the fun. Other activities include carving a polar bear in soap, playing an echolocation game, and testing various ways to clean up an oil spill. An extensive resource section lists aquariums around the world; books, videos, and interesting Web sites; a calendar of ocean events; and organizations that protect our oceans.